What are the Best Studio Headphones? After writing about the best DJ headphones last month, I received several questions about which headphones would be best for studio work. 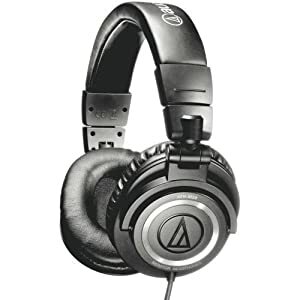 After a long day of being the World’s most annoying customer at the local JB Hifi shop and several hours of research, I’ve come to some conclusions as to what I think are the best studio headphones. Of course, there isn’t a single ‘best pair of headphones’ as like many things, it all comes down to personal preference, but here are some of my picks that I felt really stood out. First of all, there are a few things you need to consider when buying a pair of studio headphones, which will account for some ‘personal preference differences’ in what people think are the best studio headphones. 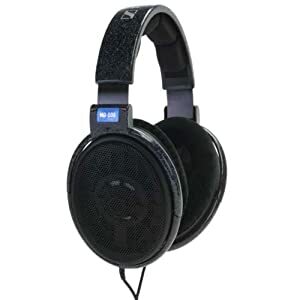 I’ve included a more in-depth overview of these differences at the bottom of the post, but the general things to bare in mind when buying studio headphones are: tone neutrality, closed-back design, comfort, and durability. Despite being the ‘industry standard’, Beyerdynamic’s DT100, DT150, and DT250 models were surprisingly disappointing. While I have to admit that they’re built like tanks, it seemed hard to get a comfortable fit, and the sound was just very ‘meh’. All in all, I’d say they’re good but not worth the price tag. Their big brother, the DT880s on the other hand are a different story. Despite being semi open-backed, these headphones sound great and were very well isolated. The ear cups and headband are incredible comfortable and they also feel very durable. Out of all of the headphones I tried, these were probably my favourite overall studio headphones. If you’re looking for headphones to use whilst tracking, these are about as good as things get at a low price. The ATH M50’s have a closed-design to prevent bleed into the microphones. They’re very comfy, durable, and sound great. It’s worth pointing out that the frequency response for the ATH M50’s isn’t completely flat, so I wouldn’t rush to recommend these as a pair of mixing headphones, but for tracking they’re great. I’m a big fan of Sennheiser’s headphone range, and while some of their supposedly studio-designed headphones were a bit disappointing, I did really like the Sennheiser HD650 and the HD600. Both of these headphones are open back designs, which allows for a far more natural sound particularly around the higher frequencies. Both headphones were incredibly comfy, had a flat frequency response, and a durable design. When it comes to recording, you have no real option but to use closed-back headphones, as the closed design prevents monitoring spill being picked up by the microphones. Traditionally, closed headphones tended to sound unnatural, so while they were a good choice for tracking, they weren’t great for mix-downs. However, technology has caught up and closed-back headphones are usually quite neutral sounding these days, so you can certainly get away with using them for mixing, although many producers still prefer the ‘airiness’ an neutrality of open-back studio headphones. Many people prioritise sound quality over comfort when buying headphones, which has its wisdom, but sound isn’t the be all and end all. 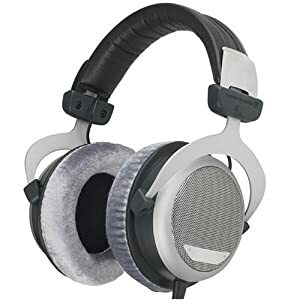 If you’re working in a professional recording environment, you and your clients are likely to be wearing these headphones for hours at a time, which is a long time to be wearing something that isn’t comfortable. Your studio headphones will naturally go through a lot. It’s out of your power to prevent headphones falling on the floor and being on the receiving end of usual studio wear and tear. It’s therefore a good investment to buy a pair of studio headphones that can stand a knock or two. At very least, ensure that the headphones you’re buying have easily replaceable parts and come with a warranty. Great post and review. I use the ATH M50s for mixing and tracking and have had fantastic results. I had a certain budget and needed a closed back design for the tracking purposes. I know there are some that are a bit better, but for anyone still deciding.. these sound really good and are pretty darn flat if you ask me. The Beyers have a bit more on the top end but truth is if you listen through your cans frequently to commercial releases, you will learn your can’s sound and know how to mix with them. Thanks for the tips here. Enjoyed the post. Cheers! our factory located in China. so i know what’s best on them. I have to say I am also a fan of Beyerdynamic headphones. As long as you do not sit on them at any point they should last a long time. Very good quality.